The State and History shows invocation history of the particular Data Service. It contains a summary of the endpoint state in the top and a list of query details in the bottom. If the job is configured to save a record in execution history, the list also contains link to the Execution History. 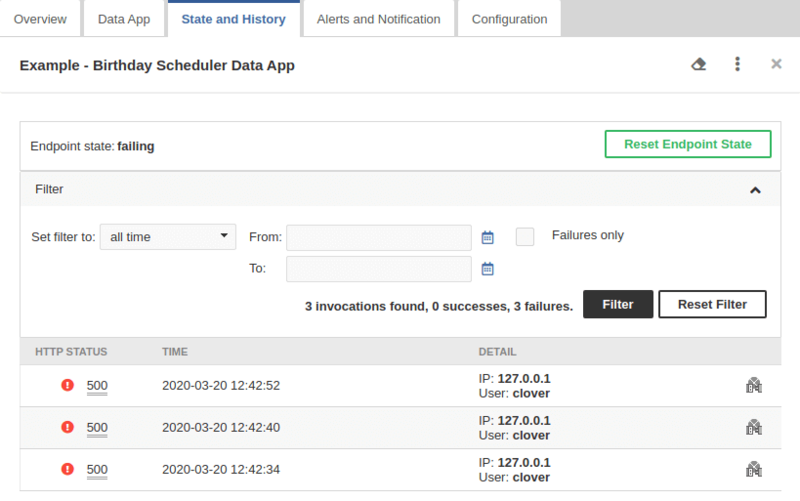 You can filter records based on the time interval or you can list only the failures. Here you can reset the state of the data service. For example, the data service endpoint was failing, you fixed it and you would like to be notified if it fails again.